How is the world doing with renewable energy right now and why is it important? Different countries are at different stages in the development of their renewable energy portfolios. Depending on what metric is used to look at how different nations are prioritizing switching to renewable energy, some countries could look better than others. For example, one could look at how much total energy is being produced or one could look at how much renewable energy is being produced compared to how much total energy it needs. The renewable energy industry is one that is constantly evolving with news reports coming from all over the world on various successes and implementations of new projects. Changes have been so fluid that perceptions of the real status of renewable energy can lag behing what is actual reality. 2010 was a great year for renewable energy even with the 2009 global downturn. Renewable energy continues to make progress with strong growth in all sectors of use. According to REN21, renewable energy accounted for about half of the total new electricity capacity (est. 194 GW) added worldwide during 2010. Furthermore, renewable energy accounted for nearly 25% of total global electricity in early 2011 from all power sources. A successful crusade to transition the whole world from conventional energy sources to renewable energy sources is paramount to mitigate impending environmental issues and disasters from health and climate change. Renewable energy accounted for 10.9% of primary energy production compared to 11.3% nuclear in 2010 for the United States. In Asia, China increased its total renewable energy capacity by an estimated 29 GW to total 263 GW in 2010. In Europe, Germany’s renewable energy portfolio increased to 16.8% of total energy consumption. 36% of total renewable energy was from wind power alone. Other EU nations had higher allocations of electricity from wind power in 2010 with Ireland achieving 10.1%, Spain 15.4%, Portugal 21%, and Denmark 22%. In the early part of 2011, around 118 countries enacted some sort of policy to support renewable energy on a national level. This number is up from 2005 and shows a significant interest and acknowledgement that renewable energy is needed. More and more countries (even developing ones) are making the switch. In the 1990′s only a handful of countries were utilizing commercial wind power, but in 2010 about 83 countries started generated power from the wind. What’s interesting is the role developing countries are playing in helping the renewable energy industry gain momentum, collectively, developing countries have more than 50% of total global renewable energy capacity. Solar Power: Solar power had an exceptional year in 2010 because it managed to double its global production compared to 2009 (a measly 7.3 GW). About 17 GW of total solar power capacity was added worldwide to bring total global capacity to around 40 GW (7 times the amount 5 years prior). Germany and Italy led the the solar power market in 2010 by installing more solar panels in 2010 than the entire world installed in 2009. Utility-scale solar power plants are a new trend that is becoming more popular accounting for nearly 1/4th of all solar power capacity worldwide. Solar panel prices have rapidly declining, leading to a big consolidation in manufacturing facilities as well as a shift to manufacturing facilites in Asia. 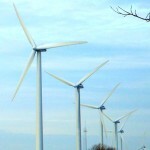 Wind Power: Total wind power in 2010 sustained levels gained in 2009 (about 38 GW added) for a total of 198 GW worldwide. China has been driving most of the growth in the wind power industry which accounted for about half of the global wind market. New trends in community based wind projects, small scale wind turbine, and offshore development are helping drive the wind power market forward. 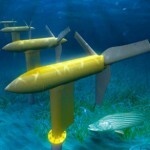 Ocean Energy: Ocean energy is a relatively new alternative renewable energy form. At least 25 different countries are working in R&D for ocean energy or wave/tidal energy development. However, at the end of 2010, only 2 MW of wave energy was being produced and 4 MW of tidal stream energy were installed. Most of this capacity was installed in Europe. Pilot projects are in the works in many countries/states/provinces around the world as ocean energy is a promising alternative energy that provides constant power unlike solar or wind. Hydro Power: A total of 1.01 TW’s are producing renewable energy through hydro electric power. This represents about 16 percent of total renewable energy production worldwide. About 30 GW of capacity was installed during 2010 with Latin America (with Brazil dominating new development) and Asia (with China leading new growth here) driving most new hydro projects. 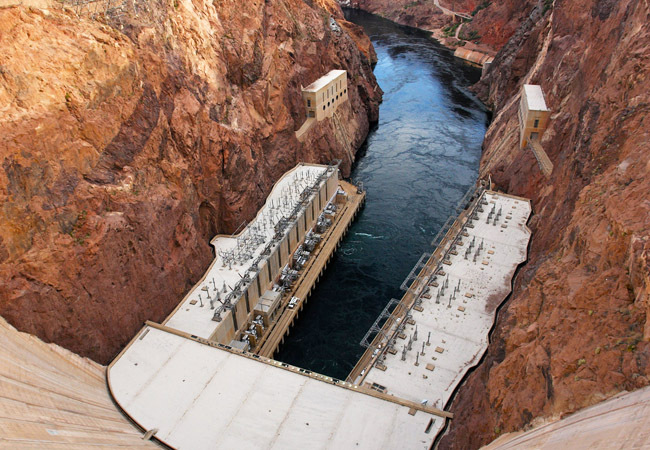 In the US, some hydro-electric dams have been decommissioned due to declining fish numbers like salmon and other species. Geothermal: Geothermal is used for both energy and for heating systems. Geothermal energy is now being used to combine energy generation and for power simultaneously due to new technologies. Geothermal global capacity tallied 11 GW of power in 2010. Geothermal for power generation is expected to rise significantly over the coming years because of advanced technologies that make it easier to implement. 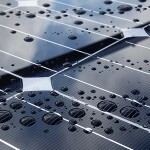 Trends are looking positive for the renewable energy market. Governments large and small are aiding the development of this market by helping to remove policy barriers and promoting incentives such as renewable energy tax breaks. Environmental issues are all inter-related in that one system affects another. If renewable energy continues to make significant gains, less greenhouse gas emissions and toxic emissions will enter the atmosphere aiding in cleaner air and reduced climate changing effects. 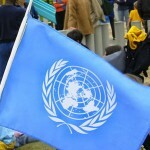 The United Nations has encouraged the international community to switch to renewable energy to help stave off the worst effects of global warming. As emerging economies continue to grow economically, it’s imperative that they adopt strategies to promote sustainability, renewable energy, and an overall cleaner environment to help sustain increased global population estimates. Likewise, people from all over the world, in developed countries, less developed countries, and emerging countries alike, need to do their part by living a more sustainable life. How can you help? You can start by taking The Environmental Blog’s 7 Day Green Challenge. Good Luck. Photo Credits: Some rights reserved by Alex E. Proimos, OregonDOT, ¥§•ªˆ¨ˇ© LOVE © ˇ¨ˆª•§¥ on Flickr.